Do you need to a grease trap replacement? Drain-Net offers state-of-the-art plastic grease traps, metal grease traps, and the Big Dipper automatic grease trap for restaurants and commercial kitchens. However, did you know that Drain-Net can engineer a custom grease trap to meet your exact needs? 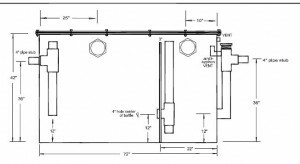 Our custom fabrication shop and experienced personnel can make finding a custom grease trap solution easy and affordable. 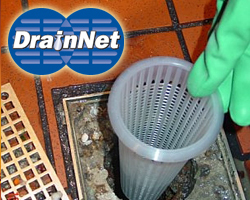 Next time you need to replace a grease trap, visit drain-net.com or call us to learn more. All foodservice establishments need to have a grease trap or grease interceptor to keep fats, oils and grease (F.O.G.) from entering your sewer line and the public sewer line. Grease traps can be located inside or outside of your kitchen. They hold wastewater so that the grease can solidify and separate so that the grease can be disposed properly.